A great player with Geelong in the VFL and later North Hobart in Tasmania, it is for his skill as a coach that Jack Metherell is most widely recognised, especially in the Apple Isle, where he led North Hobart to six premierships and Tasmania itself to its most famous footballing victory of all time. Originally from Perth, Metherell played junior football with Subiaco before he crossed the country to join Geelong in the VFL in 1932, where his older brother Len had already established himself. Solidly built but surprisingly agile, Metherell became a great goalkicker for Geelong, topping the Cats’ goalkicking table three times. This included their premiership year of 1937, when he booted 71 majors – including four in the Grand Final – and finished just one goal behind Collingwood legend Gordon Coventry in the race to be the league’s foremost sharpshooter. After 65 games with the Cats, Metherell was courted by TANFL side North Hobart to join the club as captain-coach. Despite the fact that he did eventually leave, Geelong refused to officially clear him, even after the intervention of Tasmanian premier Albert Ogilvie, meaning that Metherell was forced to sit out the 1938 season and coach from the sidelines. His absence made little difference however, as the Demons overcame Lefroy by 12 points to claim the flag; Metherell did actually make one appearance for the Robins late in the season, and gave the Robins a fantastic glimpse of the sort of player they would inherit the following season by booting eight goals in an unofficial exhibition match against a touring team from Kalgoorlie, WA. 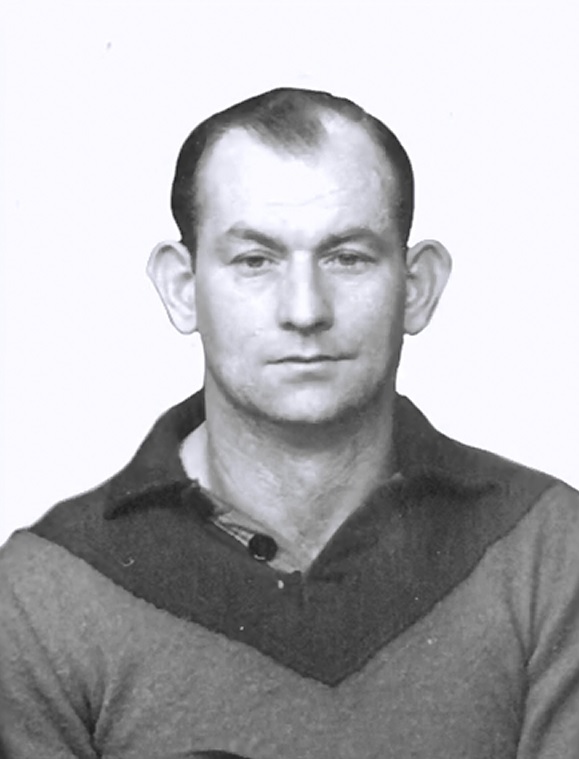 Metherell more than lived up to the hype when he returned full time, topping the TANFL goal-kicking table for three consecutive years from 1939-41, along the way guiding North Hobart to a hat trick of league and state premierships. After the Second World War, Metherell resumed at North Hobart in 1945 – winning another TANFL-state premiership double – before heading to the north of the state to take on the role of captain-coach of Cooee in the NWFU in 1946. The move proved somewhat unsuccessful, with Metherell failing to win any of his seven matches in charge, and before the season was over he requested – and was granted – a clearance back to North Hobart. Back in the red and blue for season 1947, Metherell led the Robins to another TANFL premiership before finally hanging up his boots at the age of 35. He continued as non-playing coach for one more season in 1948 before departing the club for good, continuing to play in the Southern Districts Football Association for a number of years. After his playing career ended, Metherell turned his hand to umpiring, even officiating as a field umpire in a number of TANFL matches, but coaching was always Metherell’s first passion, and he was appointed as Tasmania’s coach for interstate matches in 1960. In his first match in charge, he oversaw what has gone down as the most famous victory in the history of Tasmanian football, as on June 13th 1960, Tasmania defeated the might of the VFL by seven points in Launceston. Unfortunately, that would be the only win of Metherell’s tenure as state coach, with Tasmania failing to win any of his four subsequent matches in charge, including three winless games at the 1961 National Carnival in Brisbane. However, despite his lack of success in the aftermath of the win over Victoria, Metherell’s legacy as a great of Tasmanian coaching was already secure.